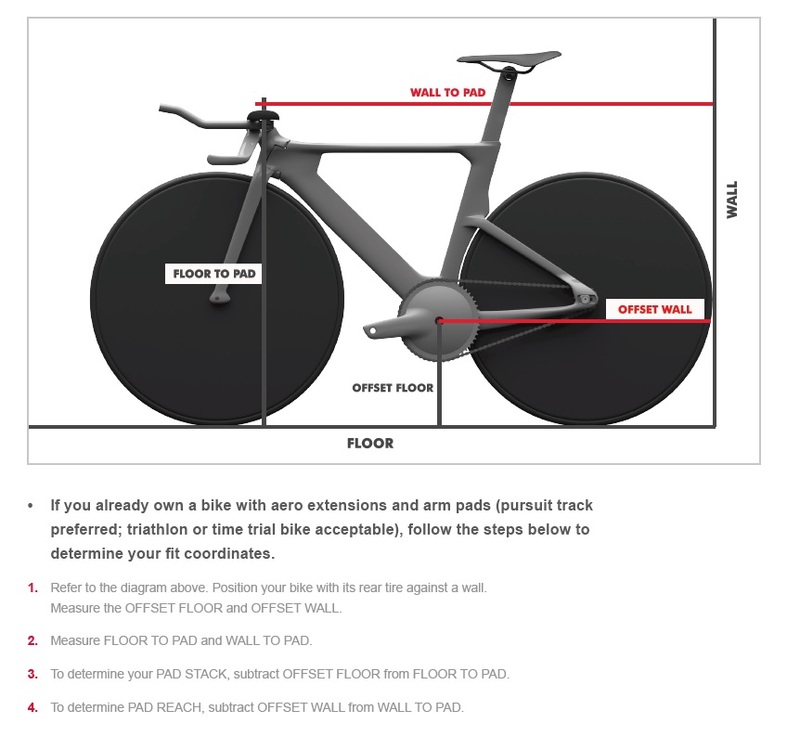 The TA FRD (Track Aero Felt Racing Development) is the most advanced track-racing bicycle that the world has ever seen. Designed specifically for pursuit races, the TA FRD’s patent-pending features include revolutionary asymmetrical airfoils and a unique left-hand drivetrain for the ultimate in aerodynamic efficiency on the velodrome. The left-hand drive system is made possible with proprietary components developed in partnership with HED, FSA, Stages Cycling and Phil Wood. To meet the racing and training demands of the modern pursuit racer, Felt has collaborated with these partners to develop two cranks, two sets of chainrings and two wheelsets. 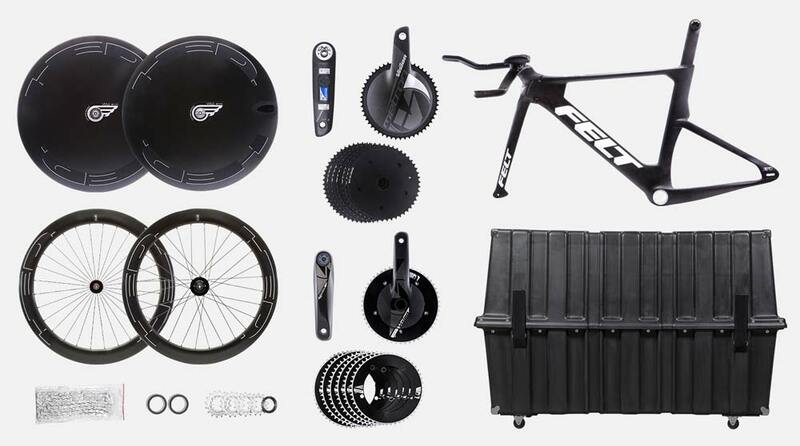 All of these “Race” and “Train” components are included with the TA FRD. Because Felt is intimately aware of the personal preferences of elite athletes, the TA FRD is not provided with saddle, chain or tires. The TA FRD is the most revolutionary track racing bicycle that Felt has ever created. Its frame, fork and seatpost were designed from the ground up to achieve maximum aerodynamic efficiency for the pursuit discipline. This was accomplished through several years of intense research and the resulting application of asymmetrical tube shapes, airfoils honed specifically for the velodrome, a radical left-hand drive system and ground-breaking construction methods. In order to unlock every bit of performance potential form both the TA FRD and its rider, Felt has included a CERAMICSPEED BB30 bottom bracket with each and every TA FRD purchase. One of the world leaders in high-performance componentry, CERAMICSPEED developed its bottom bracket with coated ceramic bearings designed for maximum efficiency and impeccable durability, saving you both valuable watts and ensuring bearing longevity. Because wheels are an integral part of a racing bicycle, the TA FRD frameset was aerodynamically optimized for use with the Volo from HED Cycling. With a lightweight, hollow carbon construction and an internal rib design, along with CERAMICSPEED coated bearings, the Volo is the stiffest disc wheel in HED’s history and is the ideal complement to the industry leading aerodynamic efficiency of the TA FRD frameset module. In order to fully realize the aerodynamic potential of a left-hand drive system, Felt partnered with FSA to adapt the latter’s most aerodynamic Vision Metron crankset for the TA FRD. This race day crankset features a Stages Power Meter fitted to the non-drive crankarm, interchangeable 50, 51, 53, 54 and 55-tooth chainrings, and is available in 170mm or 172.5mm crankarm lengths. For over 45 years, Phil Wood & Co. has been producing some of the finest cycling componentry in the world, with the company’s track bike cogs being widely regarded as the best available thanks to precision manufacturing. The TA FRD comes with four proprietary spline-drive, 3/32” Phil Wood rear cogs (13, 14, 15 and 16-tooth) that, along with the included multiple FSA chainrings, give you the ability to fine-tune your gearing setup for any training session or race day. To help protect your investment in a TA FRD, Felt has included with your purchase a Pro-Series case from Tri All 3 Sports. Crafted from High Molecular Weight Polyethylene for exceptional durability, the Pro-Series case features two external straps and a lockable steel latch system for security, as well as four heavy-duty casters for ease of mobility. The bike box’s internals are completely custom and made specifically to fit the TA FRD’s 70mm fork, as well as all of the proprietary parts that come with the TA FRD. SPECIAL ORDER - Hand made to your measurements, delivered 90 Days after your order date.